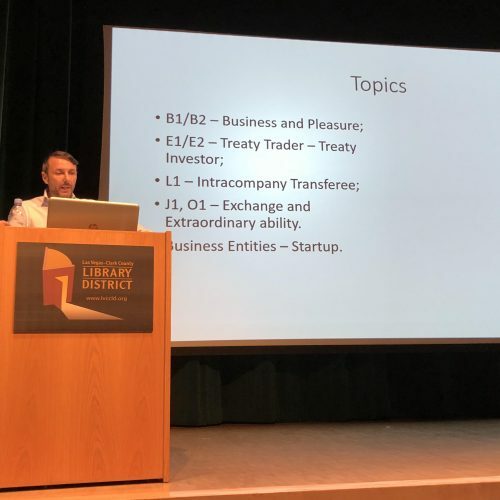 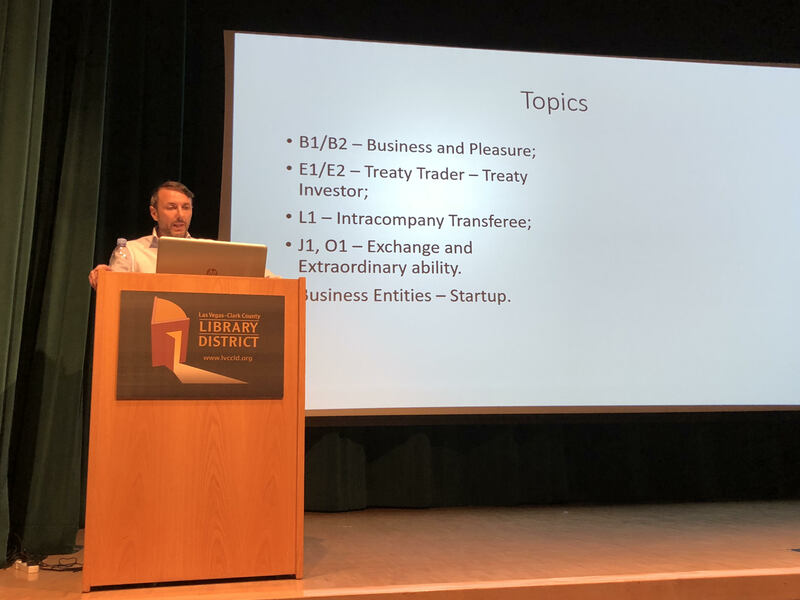 On Saturday, September 22, Casa Italiana di Las Vegas, in collaboration with the West Charleston library, presented guest speaker Raffaele Di Martino, of Di Martino Law Group. 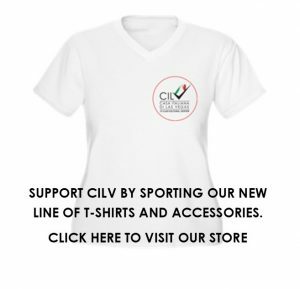 Di Martino’s practice is focused on corporate, immigration and real estate management. 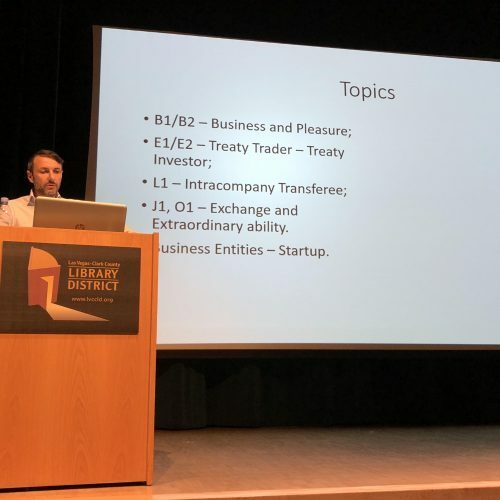 He has been instrumental to many foreign companies and entrepreneurs in establishing or expanding their business operations in the United States. 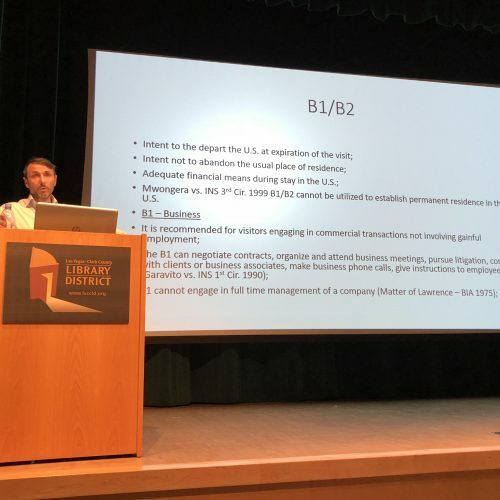 The lecture covered the topics of Immigration and Naturalization: family and employment based permanent residence application and procedures (Green Cards) as well as Naturalization process. 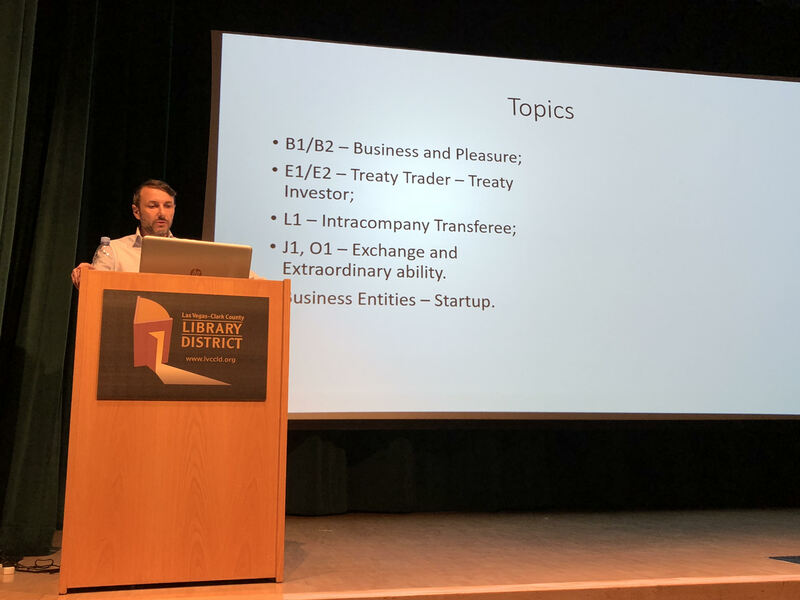 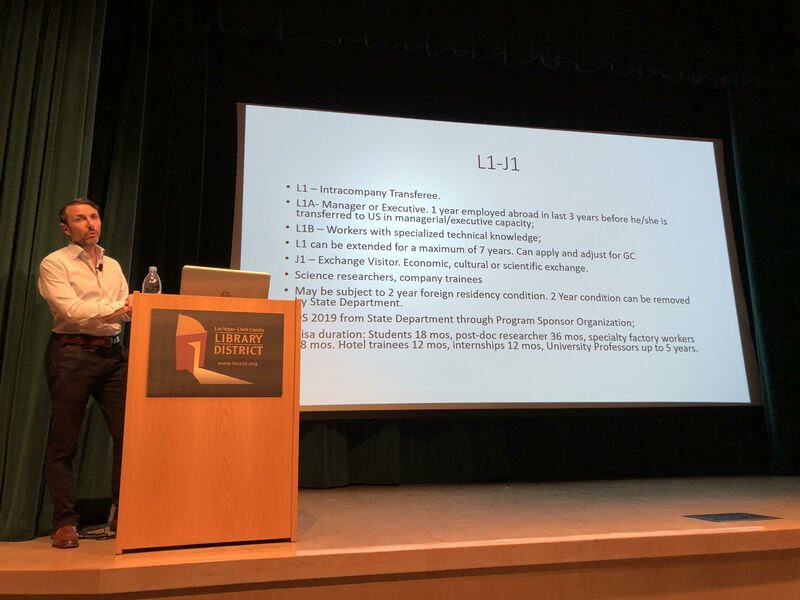 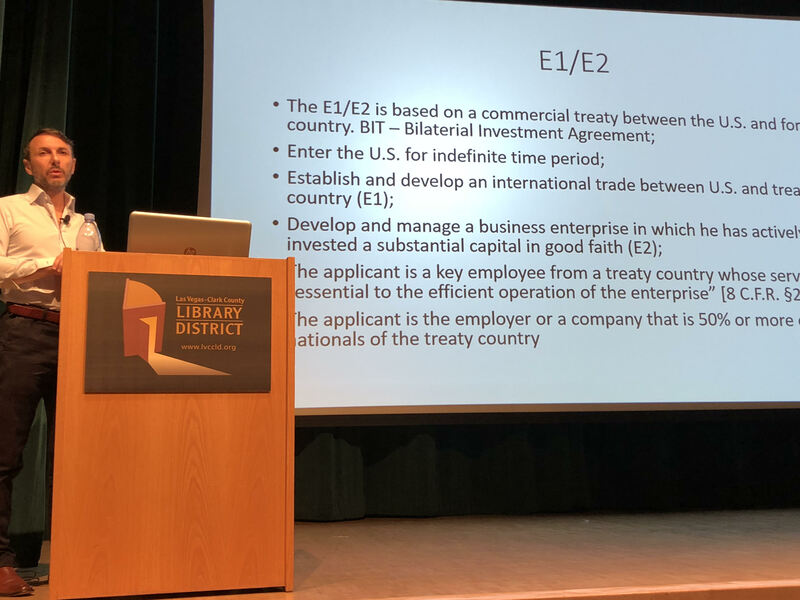 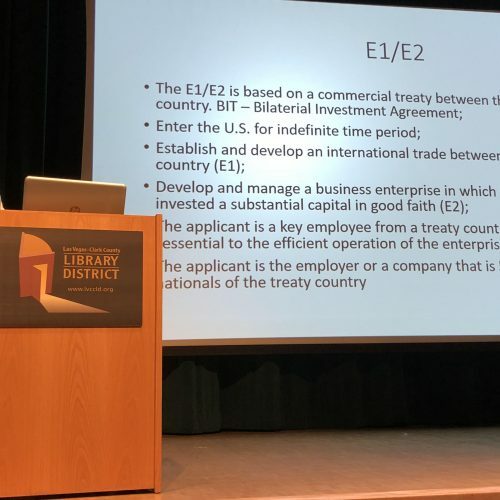 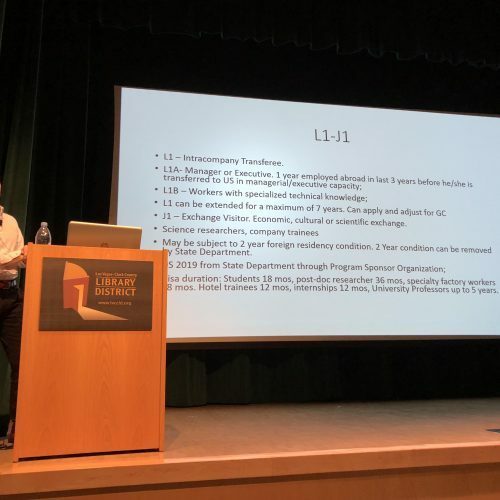 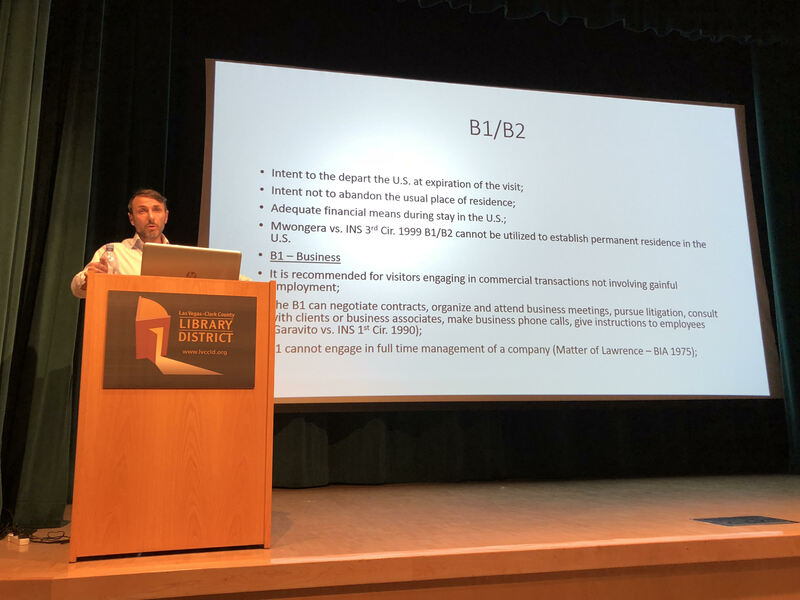 Raffaele explained the possibilities of the Investor’s Visa – which is a Non-Immigrant Visa – for those who are not interested in becoming US residents but only interested in doing business investments into the U.S.